Unlike the residents of the USA, a lot of whom probably wouldn’t have been able to point to New Zealand on a map three months ago, we shouldn’t have been surprised at the consideration for others demonstrated by New Zealand Prime Minister Jacinda Ardern in the past few weeks. Ardern has on a number of occasions suggested to the various Australian Coalition Prime Ministers over the past couple of years that her country would be willing to accept most if not all of those held by the Australian Government (in our name) in ‘detention centres’ in PNG and Nauru. Ardern is in her 30’s and, probably because of living in a country with a small population, being the mother of a child born while she has been Prime Minister and being the leader of a consensus government that relies on political parties that do have different objectives for granting their support, has demonstrated a common touch combined with great leadership, concern and understanding since the terrorist attack in Christchurch. The overriding principle seems to be that if you hurt one of us, you hurt all of us, regardless of skin colour, political or religious beliefs or how you arrived in New Zealand in the first place. 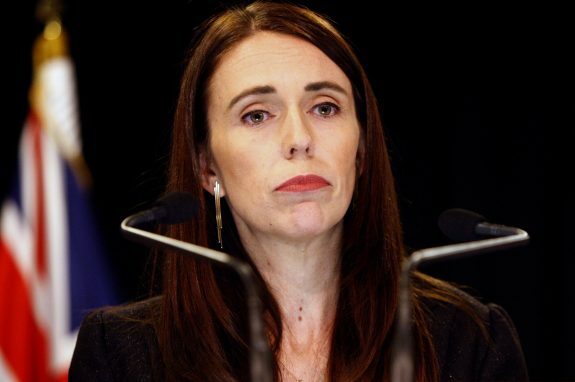 While it’s probable that Ardern doesn’t enjoy the complete support of 100% of New Zealanders politically or personally, it’s also valid to make comparisons between Ardern and other world leaders – because in the past couple of weeks Ardern has shown the world how it should be done. The New Yorker makes those comparisons here. Ardern’s demonstration of leadership can only assist future leaders like Alexandria Ocasio Cortex, a New York Democrat, who according to this reasonably positive piece on the Fox News website, is not only taking on Trump at his own game (clever publicity) but re-writing the policy of the Democrats at the same time. Ocasio Cortex can’t run for President of the USA for at least 6 years as she has to be 35 to nominate! Australia’s Prime Minister Scott Morrison must be worried with comparisons. Since the Christchurch terrorism attack, Morrison has been talking the talk of consensus and inclusion. Was he walking the walk prior to March 2019? The answer is definitely not. Regardless of the accuracy of the claim in the now famous Sydney Morning Herald article from 2011 where it was reported he was proposing to use religion and immigration as a marketing tool, the article is still available on the internet at the time of this article’s preparation. If it was an issue (wrong, overblown or inaccurate) prior to Waleed Aly’s video editorial on Channel 10’s The Project (which we linked to here. Morrison has had eight years to negotiate its removal. No wonder the threat to sue Aly and Channel 10 was hastily withdrawn. Morrison is also the one that proudly claims to have ‘stopped the boats’ by incarcerating asylum seekers and genuine refugees off-shore, has done ‘deals’ with One Nation (their leader has stated that Islam is a disease) and Fraser Anning (who seems to frequently attend white supremacist rallies Melbourne, apparently flying from Queensland at taxpayer expense) to gain support for legislation in the Senate. Morrison, as Treasurer and Prime Minister, has also underfunded government agencies so they don’t have the resourcing to make the necessary determination of ‘protection’ claims from refugees and asylum seekers within time limits specified by legislation (allowing the claim to be automatically rejected). Probably due to Ardern’s recent actions, Sammy J’s Playground Politics (broadcast on ABCTV) recently discussed terrorism and tribalism in language a child can understand (well it worked in my household anyway), and how it’s not only politicians such as Morrison, Hanson, Anning or the media that need to lift their game; you and I also have to play a part. The suggestion being that if the lights (such as Ardern’s actions in the past few weeks) stay on, the tribalism monsters have nowhere to hide, as they like dark corners where they can spread misinformation and fear. Jacinda Ardern, and Sammy J, nailed it. Yes, for me they both are right: how I envy NZ for having such a wonderful PM in Jacinda Ardern, and Sammy J is a delightful sage sharing his humour and wisdom sitting on his yoga mat…so much more to my liking than Scomo’s fast talking rants about nothing, his efforts to a kick funny-shaped ball wearing caps back to front…. I do reall when Jacinda Ardern was first elected as New Zealand’s PM both Tutnbull and Julia Bishop first response was “we will be unable to work with her” Yet I see turncoat Morrison recently hugging her he’s a hypocrite. Great Leadership skills is a scarce commodity these days and Jacinta has it spades.